This kid in the Philippines, who probably dances "Bang Bang" better than you do, breaks it down in this viral Facebook video with 2 million hits. Rapper Fortafy posted the vid in his Facebook account on Monday, January 26. 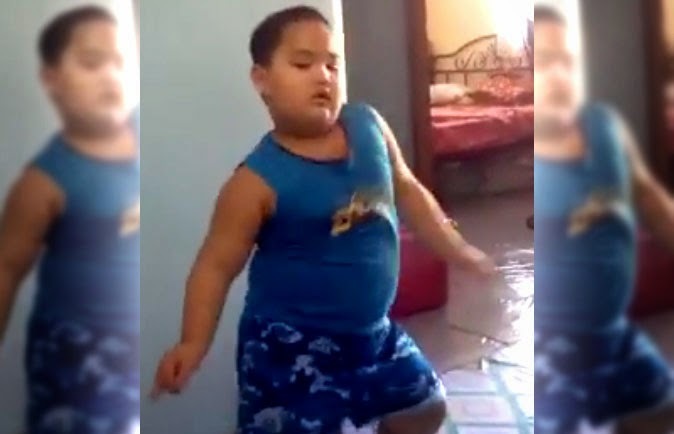 It features a cute chubby boy getting into the groove with the pop hit from Jessie J, Ariana Grande, and Nicki Minaj, showcasing some "spaggheting pababa" dance move. As of January 28, the video got more than 31,802 shares, 20,640 comments, and over 2,184,000 views. This kid is awesome! Anyone knows his personal details?